Fishing Forum : Utah Fishing Forum: Fishing Gear, Gadgets, Techinques, Tactics &Tips: Cataholic cat rigs? With catfishing soon to begin it might be interesting to share favorite cat rigs as used by those who enjoy going after these big ugly fish. Rod: I like the Ugly Stick in MH. They hold up well and have enough bendo to handle the big fish. Reel: Make mine an open face spinning reel with emphasis on the quality of the drag. My reels (I have at least a dozen of them) are all in the $60 to $80 range. I find these to be durable, with good drags, and less likely to cause agony and tears when a grandkid sits his pole down “for just a second” with the bail close and I watch the rod and reel disappear over the side of the boat. Line: I like 20 -30# Power Pro braid in Moss Green color. I tie directly to the hook with a double loop Uni Knot. I do not use a leader or a swivel. The 20# braid gives me the strength I sometimes need to head off a big cat that is making a run for the reeds to tangle up and break off. Hooks: I prefer a 5/0 or 6/0 red Gamakatsu Octopus (the red probably appeals to me more so than to the cats) I have tried the circle hooks and they work great but I like the “trigger pull” that is more appropriate to the Octopus. Bait: White bass, carp, and minnows. I always have a small rod rigged with a wb lure to pick up fresh bait whenever possible and a bow with a fish arrow for a chance at fresh carp. Fresh is always better but I have a freezer full of wb, cut up carp, suckers, and assorted minnows that work very well in the absence of fresh bait. Method: I like ‘em all – bank tanglin’, boatin’, and kayaking. I fish my baits on the bottom where snags a not likely and under bobber among the rocks. I prefer dragging baits at about .05 across the mud flats when fishing from boat or yak. Favorite water: Utah Lake, lots of cats and close to home. Okay, what’s your favorite catfishing’ rig? I’m ready, bring it on! Rods- Whisker Seeker or Ugly Stik 7’6”, Medium Heavy. Fast Tip. Casting and spinning. 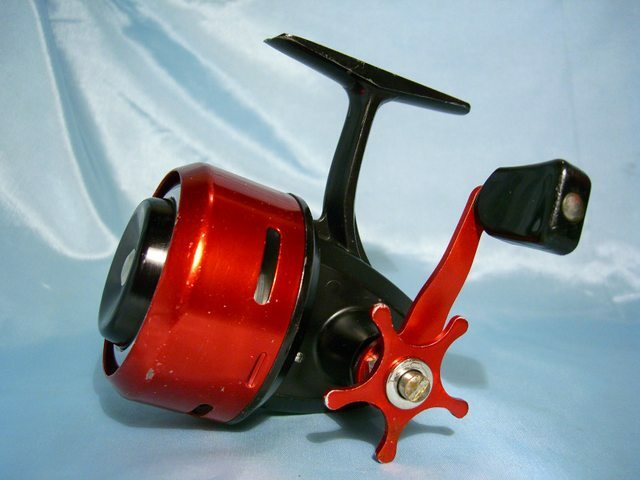 Reels- I prefer ABU round casting reels. I do use Okuma Baitrunners on my spinning rods. Line- Whisker Seeker 30# orange mono with a 50# leader. Hooks- 7/0 and 8/0 Gamagetsu offset circle hooks. Bait- usually cutbait. Carp, white bass, or red side minnows. I rarely use night crawlers. I hate catching mudders and night crawlers are mudcat magnets. My favorite method is slow drifting. .5 mph. I rarely fish from anchor. Cat scatch fever? Got an itch to catch cats and gotta scratch it? Me too also. You didn't mention "fligs" but I think we are both flig fans. Lots of fun and often more productive. But my three main methods of enticing kitties over the years has been 1. bait dragging...with an open bail and line under a clip. 2. Using a "bobberhead jig" under a float and 3. Using "bling beads". I have made reference to all these in past reports and due to requests for more info I have covered each in separate PDF file pictorial writeups. See attached. Ready to rumble when you are...and when the pond is launch-worthy. "With catfishing soon to begin it might be interesting to share favorite cat rigs as used by those who enjoy going after these big ugly fish." Ugly? I just caught a burbot and they have catfish beat by a Texas country mile for ugly. After catching a few channels last year I began to see them as having their own unique beauty. Form follows function and a catfish is built exactly right for what it has to do. About rigs: I learned most of what I know from you, ice_sled, and Pisco so I don't have a lot to add that would help anyone as long as those two chime in. Maybe I will try again later. Right now I guess I'm so tired from my FG trip that I'm spelling every other word wrong and I'm slowly (that is, slower) than the children of Israel were to make it to the promised land. Reel: is an Okuma baitrunner on ugly stick. KastKing sharky baitrunner will go on Rippin Lips. Bait: wb, carp, if I can get them. I have a freezer full of perch I’m going to try. But my normal bait if I don’t have cut bait is nightcrawler tipped with a piece of raw shrimp. Method; I split my time between bank tangling and boating. I mostly anchor up. I just bought me a new to me boat so I may try drifting now I have my own ride. But I fish the island a lot and so i anchor up out there once I miss the rocks. I would like to learn new methods in a boat from you experienced gentleman though. And Utah lake is my main body of way as is proximity to me. I have targeted and fished for Catfish from California to Georgia to Utah. Have caught them on so many different types of bait and then lures here in Utah. I think it really depends on where they are, water depth, clarity, temperature, what they have been feeding on in a specific body of water, angle of the sun, phase of the moon, and weather I'm holding my mouth right........... Catfish, for me anyway, have always been the type fish that the harder I work to target them, the less I catch. When I have dropped a couple lines in the water, baiting off the bottom, set the poles up with very loose drag, and then kicked back with a cup of coffee, and ignored them, or started to work on tying leaders or arranging my tackle box, or just snoozing, is when I get the majority of my bites. You know, kind of a "watched pole never bends" thing. Reels: Spinning reels that have sufficient capacity for about 150 yards of 30 lb. braid, a loud drag clicker that I can hear, and a strong drag brake. Brand names: Can't remember and don't pay that much attention to them. Line: 30 lb. Spider Wire Vis-Glow Braid. Strong, good knot holding, casts good, and most important to me, I can SEE the line. I tie the hook direct to a leader about 4 feet long with a swivel on the other end. I can keep several of these pre-rigged on a Lindy Lead Keepers with a choice of different hooks. Hooks: Mostly 4/0 circle hooks. But if I'm working for a Carp for bait, I'll use a longer, barbed shank bait hook. Method: As I have gotten older and less mobile due to medical issues with feet and legs, I've become a fairly lazy fisherman. From the boat for cats, slow drifting if the weather and wind allows, or if in a producing spot I'll anchor up. From the bank, a spot I can set up my chair, pole holders, and cover water in 40 -50 yards in two directions. And if nothing bites, move on to another spot. Favorite water: 1st Bear River Bird Refuge by boat or bank. 2nd Willard Bay by boat cuz it's close and can switch from chasing Cats to Wiper. 3rd Utah Lake, only 3rd because it's a fur piece away. 4th Benson Marina and upper Bear River cuz I can almost always haul in some carp for bait. Yup, I do like TD’s fligs and use them often. And... I gotta try some of Ben’s big offset circle hooks. Can’t argue with success. Talkin’ catin’ helps to relieve some of the anxiety of waitin’. I am experiencing anxiety related to Catfish withdraw. I have checked all my tackle, tied some of my favorite rigs, and ordered me a new fish finder. Helix 5 with GPS, Di. My boat was extricated from the snowy depths yesterday. Wanted to get it out before the ground thawed. Will start the motor sometime this week. Yes; the withdrawn has been excessive but the cure is near. By far, the best way to chase kitties is with a fly rod. Fly pattern: by far, my go to Kitty Catcher is a Wolly Bugger. Whites, blues and purple are my favorite colors. Usually tied with medium or large lead eyes. Leader: three or four feet of 10 lb monofilament. Favorite fishing location: Willard Bay, 30 to 50 feet off the dike in a float tube. Pound the rocks and strip back to the tube. If you're hanging on the bottom, strip faster. If you're never hanging on the bottom, strip slower. Usually have a spinning rod with me and pull a FLIG behind me that's tipped with a minnow, cut bait, worm or gulp goodies. Doubles happen and can get a bit intense. Bonus: Both rigs attract wipers, walleyes, bass, bluegills, crappies and an occasional perch. Willard Slams aren't unusual. I know it's not the norm and contrary to most cat experts which I am far from. But I love my combination of 5 1/2 ft ultralight Shakespeare rod and flueger micro reel with 8# braid. #2 baitholder tied directly to the line under a bobber. Landed my biggest ever on this at 14 pounds. And she still had plenty of fight when she went back in. Makes playing with the carp fun too. I prefer to fish with light gear, as it is a bit more of a challenge. I am also cheap, so I don't like to spend a whole lot on specialized gear. I fish mainly with a 2 piece 6 foot light weight rod and either 4 or 6 pound line. with a size 0/2 or 0/3 hooks. I am a bank fisher and prefer WB under a bobber, as it seems to keep the mud cats off the hook. With my set up, I can easily fish for WB as well. I tend to fish solo as well, without a net, so landing them can be entertaining. The lip grippers are great, but solo, it is always an adventure. This year, I am thinking I will try some fligs, using a slow retrieve back to shore, particularly on slower days so more water can be covered. Generally my casts are within 20 feet of shore in the different areas I fish. "Last one to catch a fish, makes the campfire"
I fish Willard mostly, and don't normally target catfish, but I catch plenty of them casting a chatterbait with a 5"swimbait intended for walleye. My one catfish rod has a "half drag" function when I back the handle off a half turn. It wears 20# braid in optic yellow, slip sinker and leader of 20# red mono. 3/0 octopus or circle hook and a nightcrawler. It goes in a rod holder to drag behind. I ALWAYS tether that rod with a three-foot cord and a clip so any hard strike doesn't result in a string of cuss words. Like Lance said. Number 2 bait book with a peeled fresh shrimp and a regular red and white bobber adjusted to the water dept so it bounced on the bottom. My good friends Glen and LeRoy Mortenson took me to Lincoln Beach and out to Bird Island and showed me this. This was in the 1980's. And in one afternoon we caught more cats than I had in years of fishing the Bear River and Willard Bay. I went on to fish Utah Lake for years many times with Glen and LeRoy and many times on my own. We caught hundreds this way. Sometimes we would thread half a worm up onto the line then the shrimp. Glen and LeRoy grew up near Lincoln Beach and fished it their whole lives. I think LeRoy still holds the state record for channel cat. We would regularly see Doug Miller out at Bird. Sometimes Carl Malone of the Jazz would be with Doug. Doug asked us to appear on a show he did at Utah Lake on Big Catfish. Rest in peace Doug, Glen and LeRoy. Looking forward to introducing some Willard fishies to those "Game Changers". I'll be starting to make some of those up soon. BTW, this is the reel I use on my catfish rod. It is a long-discontinued and hard to find Abu Garcia 505. It's a sort of cross between a spinning reel and a spin-cast that was very popular with European anglers. You touch the central black ring with your finger to release the line for casting, and if you turn the handle backwards a quarter turn, it cuts the drag by about half, allowing a fish to take line in a controlled way. Starting to reel returns the drag to your full setting. It handles braid very nicely. Line: !4 lb Nanofil on all reels. Method: Tricked out tube. I let the fish educate me every trip. Did you lose one of those rigs a couple of years ago at Willard? I caught one that looks close. Nope. Haven't ever lost a rig - yet. That one looks like a trigger-spin. Trigger spin? You might be right. It was so crudded up I trashed it. Beyond recovery. Here's hoping you keep your tackle intact and never donate a rod to the fish dieties. leader begin of season 15 to 20 lb mono, later in season when the big boys come out 30 up to 50 lb mono. Bait : chuck of carp meat, carp minnows, chubs. Back in Carolina's Santee Cooper reservoir they fish for big cats and stripers with a float on the line a few inches to a foot or so above the bait. This keeps the bait up off the bottom...kinda like a hookless flig. See the attached article below. I have been trying out some smaller versions with my "foamies". Limited trials so far but I have used commercially sold "corkies" in the past and the concept works. Hey Jeff. I use the Santee rig 90% of the time while drifting. Sometimes when bank tangling. Sometimes I use a rattle also when drifting or when fishing rivers. The movement causes the rattle to make noises, the float adds bling. and the bait seals the deal.(sometimes). For a quick and dirty version, you can use a foam earplug as the "floatie". Thread one on the line with a large needle. Or just make a slit lengthwise, slip the line in, and apply a drop of superglue. If you use a long-shank hook like a kahle style, push the hook eye through a Corkie, and add a drop of superglue. Instant flig.